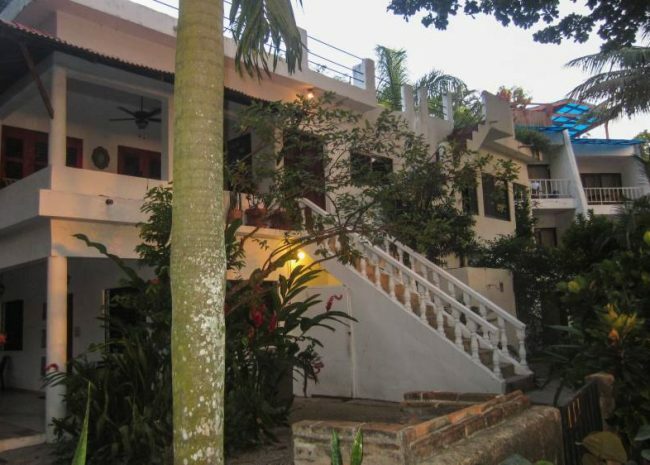 Beach Hotel right in the heart of Cabarete Bay! 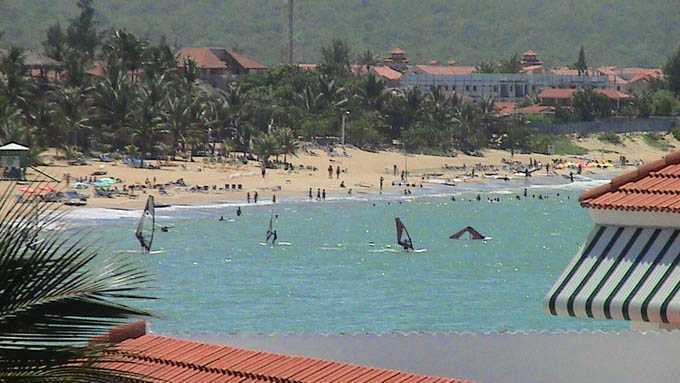 Beach hotel on Cabarete Bay where you can walk to restaurants, surf schools, and all Cabarete activities in just minutes. Awarded as one of the only budget hotels on the top five in Cabarete for the last five years and the only which is located in central Cabarete. 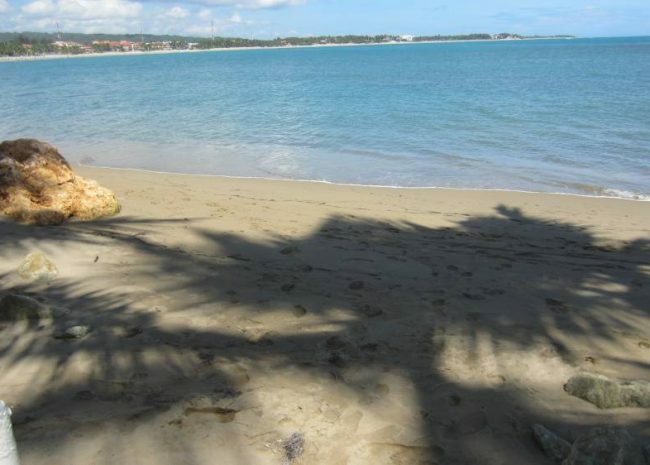 Only 20 minutes away from the international airport of Puerto Plata. In 1 1/2 hours you reach Miami and in 3 1/2 hours New York City. 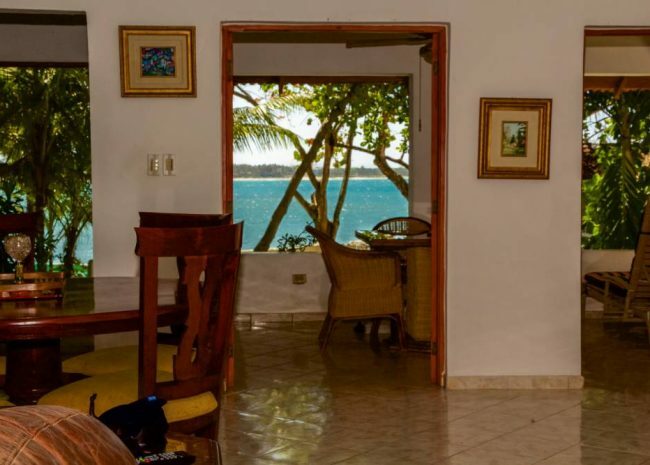 The hotel has a large three bedroom owners apartment with ocean view. Fully furnished rental units include a two bedroom apartment, five studios, and eight single rooms. All units have separate baths, cable TV, refrigerators, ceiling fans, wi-fi and wall safe. Nine rooms have A/C. 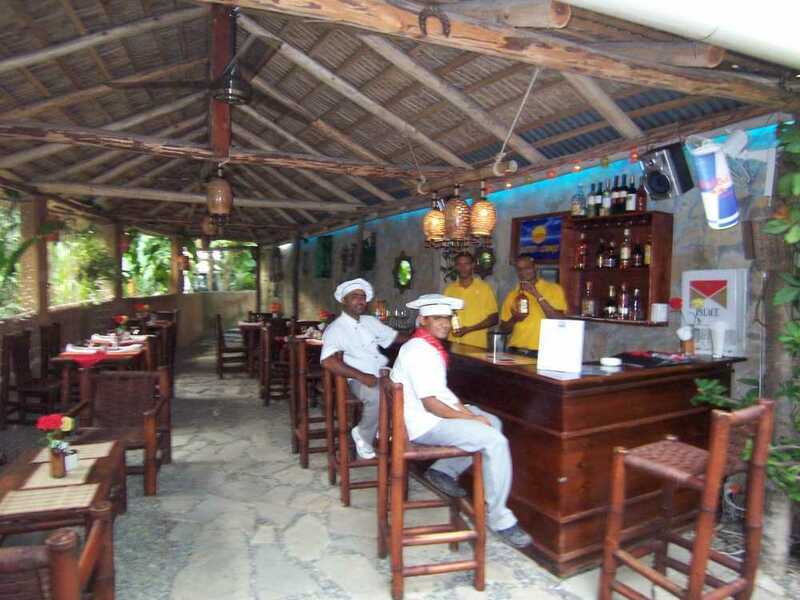 The hotel has a fully-equipped restaurant and bar, a kite school, a rooftop terrace with jacuzzi, changing rooms and exercise area, and reception and lounge area.Details:Fully equipped restaurant, bar, and kitchen to serve 24 persons. Wi-fi throughout the whole area. Back-up electricity provided 24-hours by the nearby supermarket. All hotel equipment and room furnishings provided (accept furnishings in owners apartment). 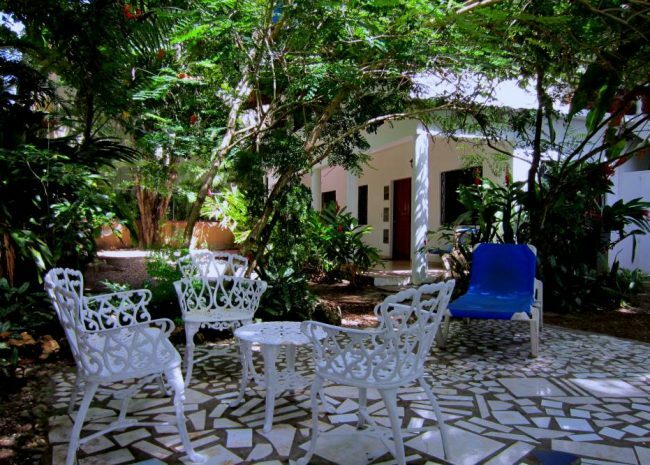 All rooms, apartments, and studios equipped with ceiling fans, refrigerators, cable TV, security safe and private bath. Studios equipped with a kitchenette with cooking facilities. 3 ground floor studios with A/C. 1 ground floor studio without A/C. 1 large ground floor studio with 4 beds, no A/C. 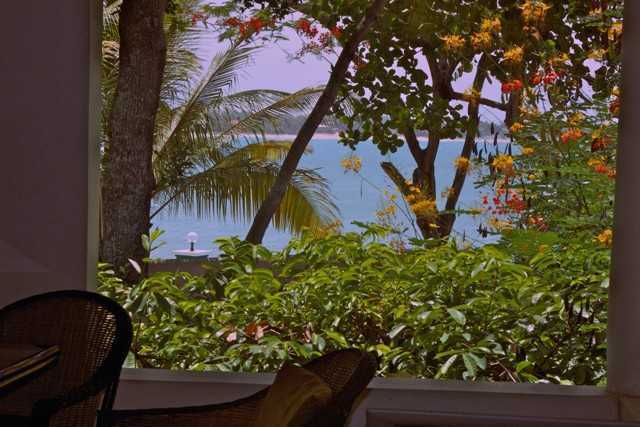 4 upper floor ocean view rooms with balconies, two with A/C.4 upper floor standard rooms, one with A/C. 2 bedroom 2 bath apartment with full kitchen, large living room and patio and full kitchen. A/C in bedrooms. 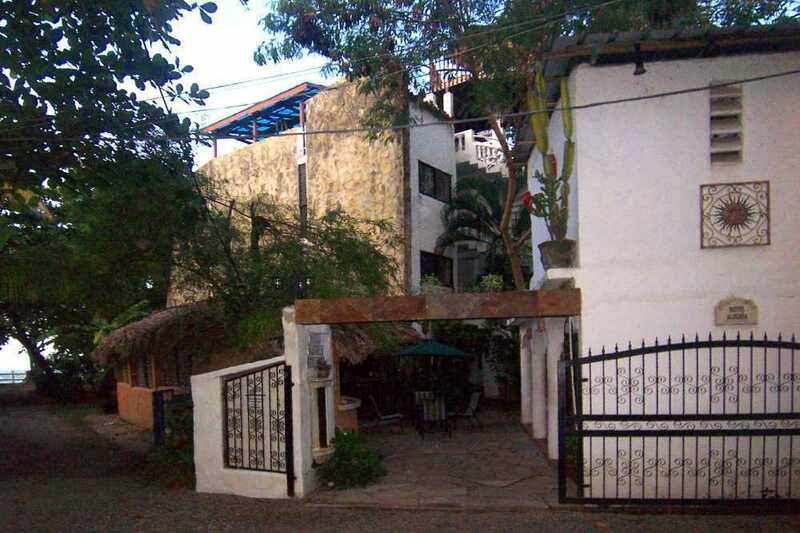 3 bedroom 3 bath owners apartment, with A/C in two bedrooms, balcony with good ocean view. Reception booth and common lounge area. 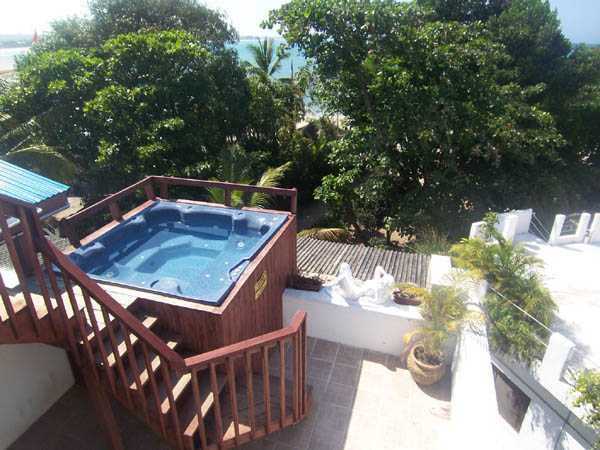 Rooftop terrace with views of ocean and mountains, jacuzzi, changing room and bathroom, and covered exercise area. 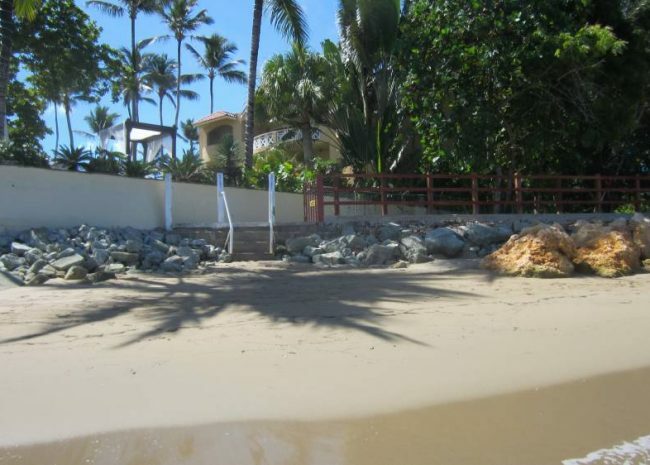 20-meter direct access path to Cabarete Bay beach subject to continued agreement with the neighbor. Alternative public access 35 meters from hotel main entrance. Common-use barbeque area. Maintenance workshop, hotel storage areas and hotel laundry room with dryers, washing machines and clothes hanging area.